One of the best things about aqua hair is that it works on both cool and warm skin tones. Your colorist will be able to mix the most flattering oceanic hue for you. To receive the color correctly, dark hair will need to be gently lightened with a pre-lightener, like Wella Professionals Blondor Multi Blonde Powder. For more manageable, silky-soft hair, team the pre-lightener with WellaPlex; our new strengthening treatment that reconstructs internal hair bonds as hair is colored. Your colorist will then give you the WellaPlex No3 Hair Stabiliser to use once a week at home, which keeps your aqua-dyed locks feeling smooth and strong between appointments. 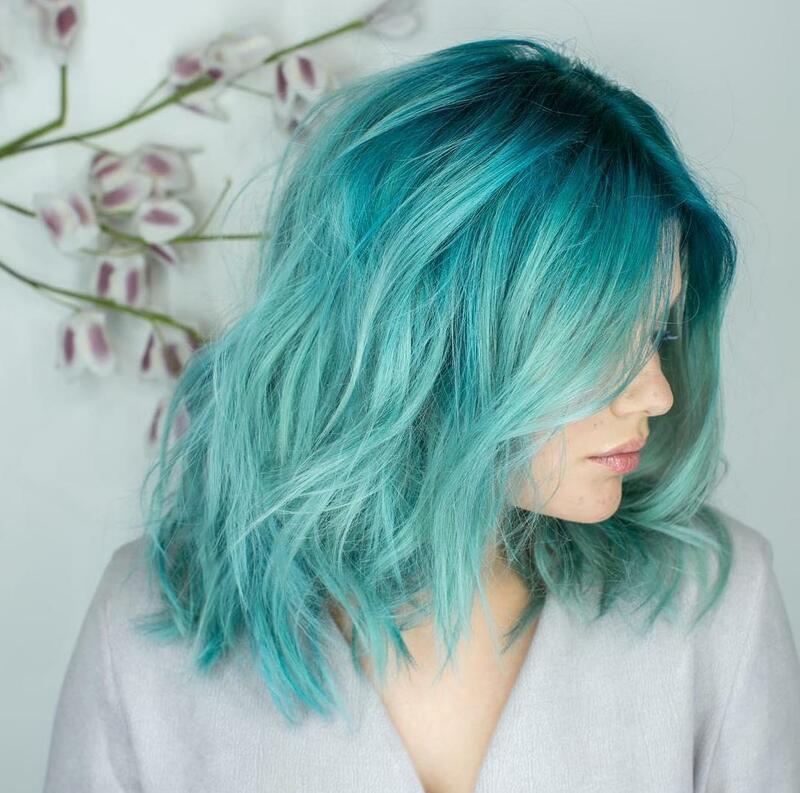 If you want a softer marine hair hue, tailor the tone to a pastel turquoise or minty green. Color Touch iNSTAMAT!C in Ocean Storm and Jade Mint are two temporary shades that veil strands in a sheer aqua wash.
Take the plunge with an icy aqua hue that matches autumn’s dipping temperatures. 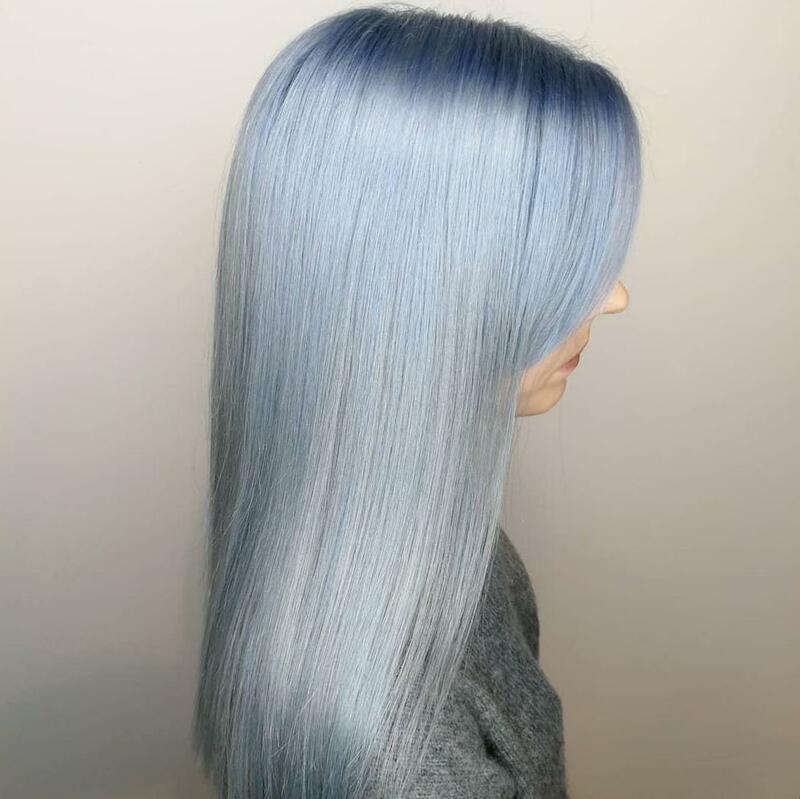 This shade was created using a blend of Color Touch iNSTAMAT!C shades - 1 part Ocean Storm, 1 part Jade Mint, 1 part Clear – and the Intensive Emulsion Developer 4% 13 Volume. On dark hair, try deep marine depth shading that’s bold, bright and beautifully blended. Pair with flowing waves for a color melt look that will bring out the shine in your aqua locks. 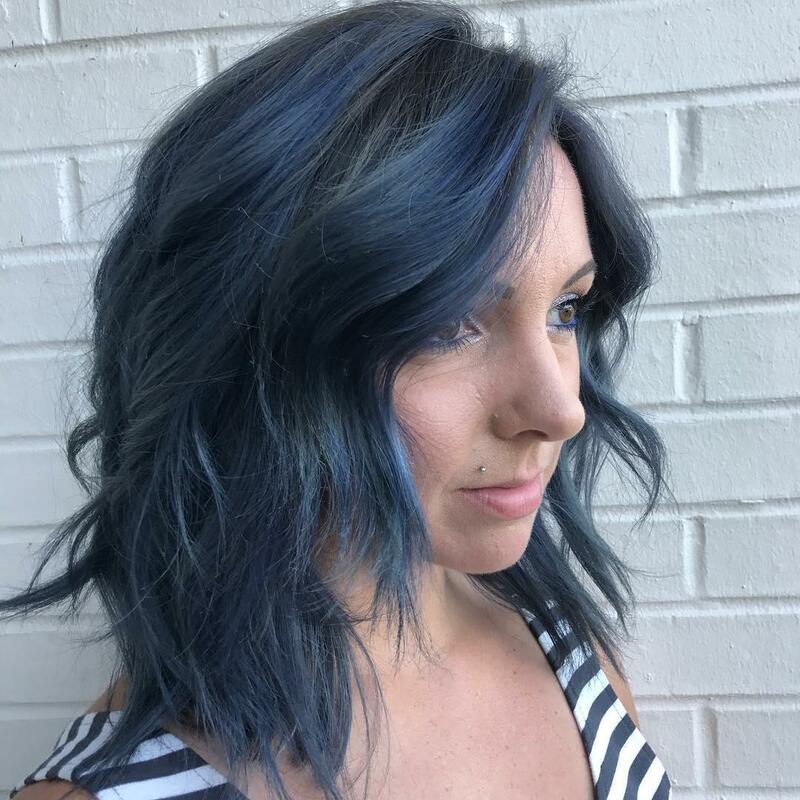 To achieve these tones, your colorist could use the Koleston Perfect portfolio, which includes a whole spectrum of blue and turquoise shades that can be custom-blended to your ideal hue. Some products may be available only to professionals. Love this Wella Color look? Learn more about color and styling techniques on the Wella Education platform. SEE IT. LOVE IT. LEARN IT.